Anxiety disorders are conditions such as Post-Traumatic Stress Disorder (PTSD), Obsessive-Compulsive Disorder (OCD), and social phobia. These mental health illnesses make it difficult to relax and enjoy a healthy lifestyle. Additionally, they can make you feel physically exhausted, emotionally unstable, and unable to concentrate. Having an anxiety disorder can also make it more difficult to relax, even when you are not doing something stressful. When you have an anxiety disorder, it’s like your body and brain are constantly in overdrive: you feel nervous and worried nearly all the time, and you tend to react badly to small upsets. It is difficult to function with an excess of anxiety, especially over a longer period of time. The effects on your health and peace of mind can be serious. Unfortunately, adults are not the only ones who are increasingly finding themselves plagued by anxiety. 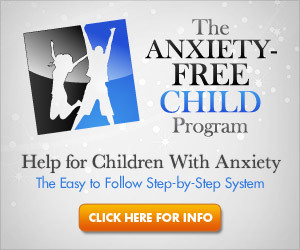 More children and adolescents are also being diagnosed with anxiety conditions. A psychologist has some ideas for why kids (as well as adults) today seem to be more inclined to develop anxiety disorders. In an article for TIME, he explains why people feel anxiety and what is going on in our bodies when we do feel it. He also discusses how anxiety conditions in children were viewed in the past and how that compares to the way we think of child anxiety in the present. If you want to read more about anxiety disorders in children today and what you can do as a parent, visit the link to the psychologist’s article below.